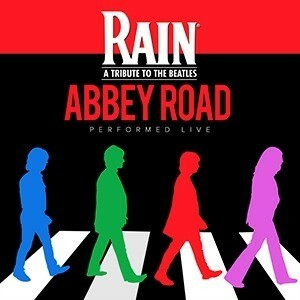 In celebration of the 50th anniversary of the release of Abbey Road, RAIN will bring the greatest hits to life. This mind-blowing performance takes you back in time with the legendary foursome delivering a note-for-note theatrical event. After a sold-out Lied performance in 2009, RAIN returns to celebrate the world’s most iconic band.